Product #46604 | SKU 11900 | 0.0 (no ratings yet) Thanks for your rating! 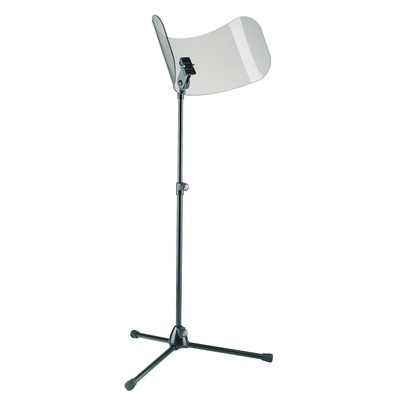 The K&M 11900 Sound Insulation Music Stand (Black) is a stand with a die-cast base and folding legs. It has stable tripod construction that affords safe usage and a long product life. There is a plexiglass shield that provides hearing protection for the musician stationed in front of other performers. The shield's practical prismatic "V-block" connector makes it quick and easy to connect to the stand. The stand can be used on both sides, depending on requirements. Stable tripod construction affords safe usage and a long product life.